(2-LP set) The 4th album from George Clinton’s funk/psych/rock outfit, originally released in 1972, is a double LP of epic proportions. 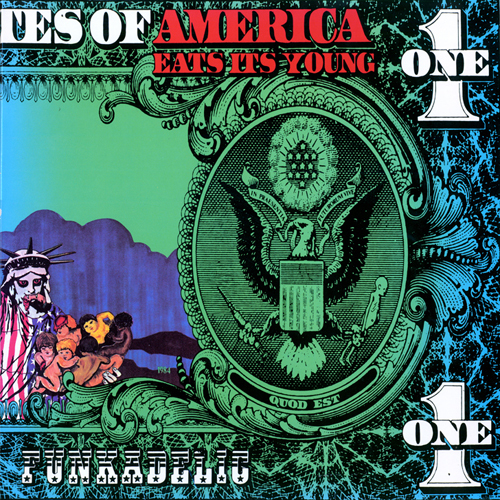 Deep and heavy grooves propelled by the always amazing guitar, bass and keyboard work of Eddie Hazel, William "Bootsy" Collins, and Bernie Worrell, respectively. 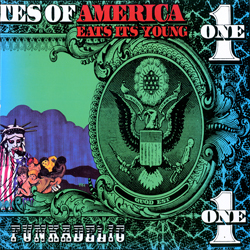 Equally sleazy, political, heartfelt, and just plain bizarre, America Eats Its Young was, and remains, one of the few double albums of the 1970s that warranted every single minute of wax. Reissued on 180 gram vinyl in a deluxe tip-on gatefold jacket.